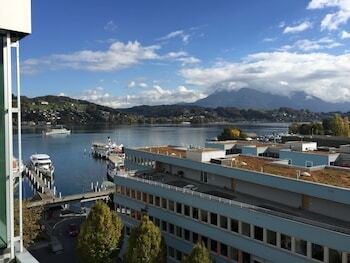 With a stay at Penthouse Apartments Lakeside in Lucerne, you'll be within a 15-minute walk of Chapel Bridge and Lucerne Town Hall. Self parking (subject to charges) is available onsite. With a stay at Griwarent Holiday Homes in Grindelwald, you'll be minutes from Grindelwald Grund Gondola and Sportzentrum Grindelwald. Free self parking is available onsite.